The Michigan Oil and Gas Association held its annual holiday membership meeting at Crystal Mountain Ski Resort in Thompsonville, MI. A ski resort venue was very fitting, as guests whom were brave enough to make the drive were greeted by a fresh blanket of snow. With headquarters based in Michigan, WLS cherishes the long-term relationships that have been built here over the last 40+ years and was pleased to sponsor the event. The event began with a meet and greet cocktail hour and award ceremony recognizing the most festive Christmas attire. The ceremony was followed by dinner and discussion. New connections were made and old friendships were strengthened. The night concluded as a few of the more daring attendees contemplated revisiting their college days with a brisk slide down the ski slopes on repurposed cafeteria trays from the lodge. However, good judgement and the fear of injury prevailed. Until next year, Happy Holidays! 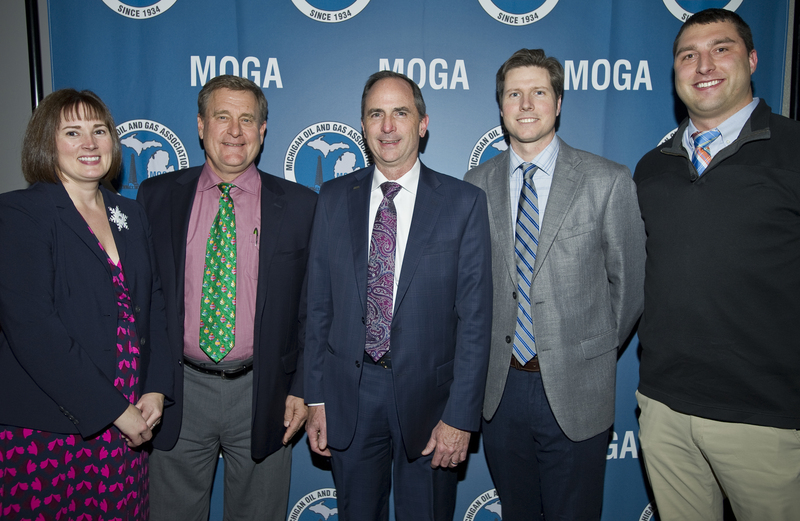 Pictured (left to right): Erin McDonough, MOGA; John Wilson, WLS; Joel Myler; MOGA, Chris Tooman, WLS; Steven Kratz, WLS.